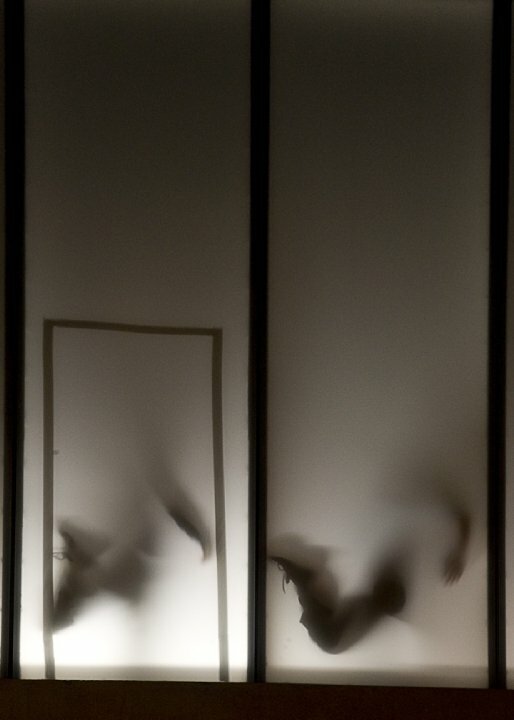 Premièred May 2010 and commissioned by Éigse Arts Festival, Ireland, NIGHT DANCE | Dancers’ Dialogue is a site-specific work designed for the VISUAL Centre for Contemporary Art, in Carlow. This commission unravels the tones, rhythm, language, syntax and thoughts expressed as speech and the non-verbal communication of movement. Here both verbal and non-verbal meet to allow an insight into dance - the practitioners and audience share the shapes, sounds, moves and thoughts of two differing origins fusing the ‘lingo’ of dancers and dance genres that translates a ‘Dancers’ Dialogue’. Concept and Direction: Pádraig MacAodha. Assisted with the kind support of Adrienne Heaslip, courtesy of Siamsa Tíre, The National Folk Theatre of Ireland.